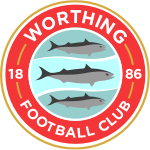 A late penalty from substitute, Callum Kealy saw Worthing hang on to their unbeaten away league record and maintain third spot in the table. 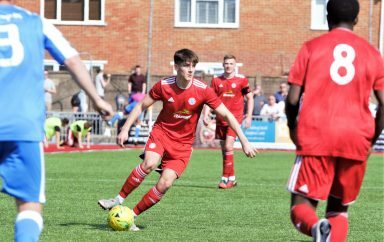 Will Miles and Joe Clarke kept their places, after both came on at half-time on Tuesday, as Joel Colbran’s comeback only lasted forty-five minutes, while Sam Rents served a one match ban for his dodgy dismissal against Chesham. Hornchurch almost opened the scoring in the very first minute, when George Saunders broke down the middle and drove his low shot against Kleton’s right-hand post. Less than a minute later and Leon McKenzie was somewhat further away, as he sent his effort nearer to Upminster Bridge Tube Station. The visitor’s opening gambit, arrived in the form of an inside-left free-kick, after Alex Parsons was brought down. 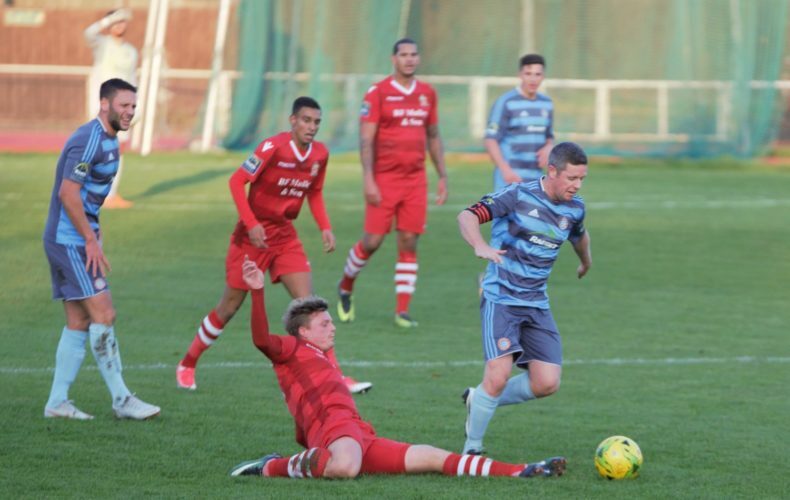 With Rents suspended, set-piece duties fell to Jesse Starkey but he could only find the gloves of Callum Chafer. Connor Hogan then went the other way to McKenzie, by firing his attempt towards the overground version of the local railway line. Jamie Hursit got away down the left and his deflected cross lead to a chance for Theo Fairweather-Johnson, who found KP in impenetrable form. 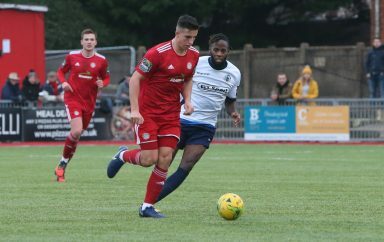 Chafer denied James Crane at the other end, before David Ajiboye’s follow-up was blocked, while Reece Myles-Meekums had his shot comfortably held by the former Concord Rangers ‘keeper. After all that excitement in the opening eleven minutes, we reached the midway point of the first-half with Hogan dragging wide and Will Miles living up to his surname, as he missed by, well, I’ll let you finish that sentence. Shortly before the break, Fairweather-Johnson plucked the ball out of the sky, turned and forced Perntpeoy into a low, left-handed save and, he had to be alert again to keep out George Purcell. On forty-two minutes, a misplaced pass by Miles, on the left, was seized upon by Saunders, who strode forward and slipped a pass through to Purcell, who finished with aplomb. Ajiboye was kept out by a flying Chafer and Darren Budd came within a whisker of restoring parity, as the clocked ticked down to the interval. The start of the second half mirrored that of the first, as this time, Purcell burst down the left, only to see his effort come back off the (far) post, before he fired in a cross that McKenzie couldn’t quite get on the end of. Chafer palmed Ajiboye’s attempt over the bar, at the expense of a corner but, the score remained the same. McKenzie got ahead of the visitor’s defence, only for their Albanian-born shot-stopper to push his powerful volley over the crossbar. Myles-Meekums pulled his shot the wrong side of the upright, before the action died down and then reappeared for the final fifteen. Saunders just failed to capitalise on a rare mistake by Kleton, until, inside the last ten minutes, McKenzie brought down sub, Callum Kealy, in the box and he dusted himself down, to strike home the resultant penalty to the keeper’s left. Although, Chafer got both hands to the spot-kick. As time slowly ebbed away, Saunders went desperately close to putting the hosts back in front, when his venomous volley grazed the top of the crossbar and Purcell fizzed a left-wing delivery across the face of goal. Two minutes from time, Ajiboye fired high, wide and not so handsome, after a bit of “to me, to you” with Reece, who was involved again, shortly afterwards, as he linked up with Kealy and Crane whose cross went agonisingly close to the target. Myles-Meekums and Kealy had one last go at nicking all three points, as the latter glanced his header wide in the final minute.